for the deaf, all of which will off er a glimpse into deaf life in Italy. Arrive at the airport in Rome & transfer to your hotel. 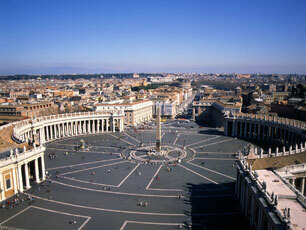 Today, enjoy the Vatican’s artwork & architecture. Marvel at the Sistine Chapel’s masterpieces, including Michelangelo’s Last Judgement behind the altar. The ceiling fresco, depicting scenes from Genesis, took him four years to complete (1508-12). Enjoy a day on your own in Rome. Board the bus for meetings at the Institute for the Deaf & the European Union of the Deaf. The vision of the EUD is that deaf people all over Europe have equality in all aspects of life. Its main objectives include: The recognition of the right to use an indigenous sign language; empowerment through communication & information; & equality in education & employment. Students will gain an understanding of the political side of deaf life in Italy & make comparisons to the rights of U.S. deaf citizens. Depart for Florence. Upon arrival, check in to your hotel. Enjoy the rest of the evening at your leisure. After breakfast, visit the National Residential School for the Deaf, continuing to compare the Italian & American deaf experiences. You’ll tour the school & learn about the students’ daily routine. Meet with NRSD students & enjoy the opportunity to interact & learn some basic Italian Sign Language (Florence dialect). The group will discuss observations & comparisons made during the visit, synthesizing the experience into a meaningful lesson. Enjoy breakfast before starting the day’s activities, arranged by the professor. Depart for Siena & check in to your hotel upon arrival. 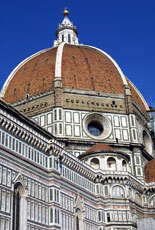 This morning, visit the Siena Art Institute & the Pendola Institute. Meet with faculty & students at the school. The Siena Art Institute Onlus has a strong commitment to deaf accessibility, in association with partner programs at the Siena School for Liberal Arts & the Mason Perkins Deafness Fund. The Institute offers courses in LIS (Italian Sign Language) & ASL for students, members of the community & certified interpreters. Visit the Gualandi Residential School. Tour the school & learn about the residents’ daily routines. Meet with students in the school & have an opportunity to interact & learn some basic LIS (Bologna dialect). After leaving the school, take some time to discuss comparisons observed during the visit. 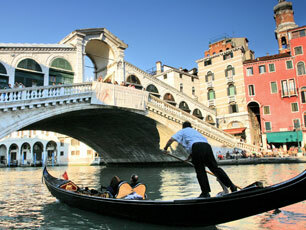 In the afternoon, travel to Padua & check in to your hotel. Depart for the Padua Residential School. Tour the school & learn about its daily routines. Then, take some time to interact with students & learn some basic LIS (Padua dialect). deaf club. Meet deaf people from the area, enjoy local stories in LIS & try your hands at signing with Padua locals! After breakfast, depart for Venice. Enjoy a meeting at the Ca’Foscari University of Venice Department of Linguistics & Comparative Cultures. Then, tour the facilities & attend a lecture comparing Italian & U.S. cultures, given by one of the country’s few deaf teachers. gather for a farewell dinner.